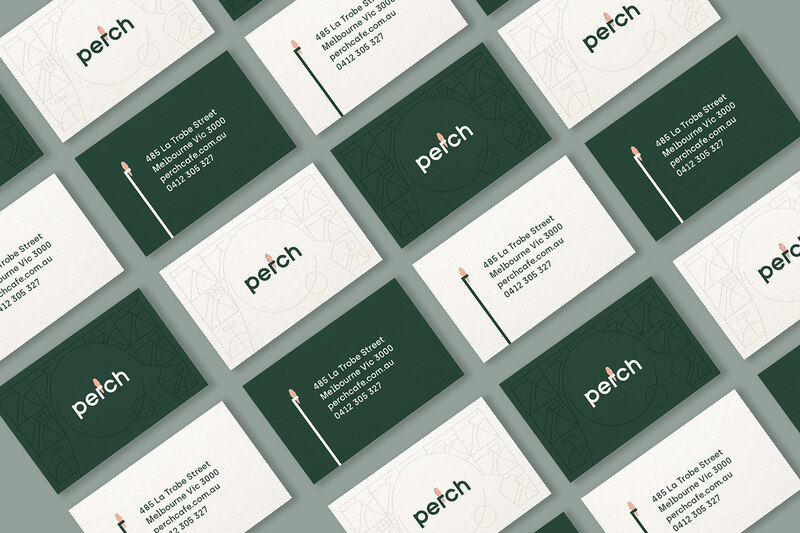 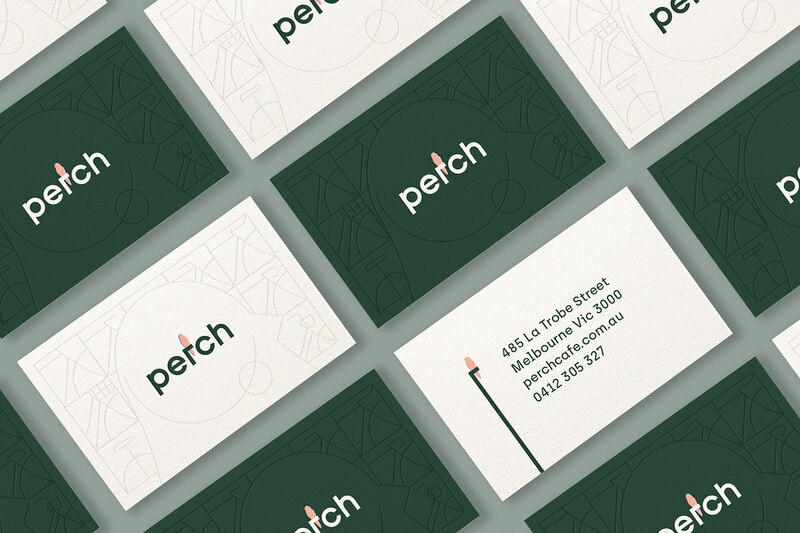 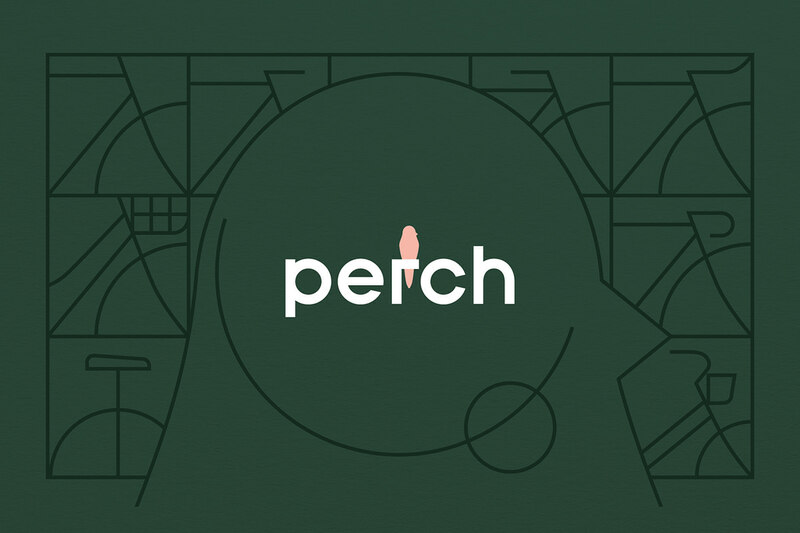 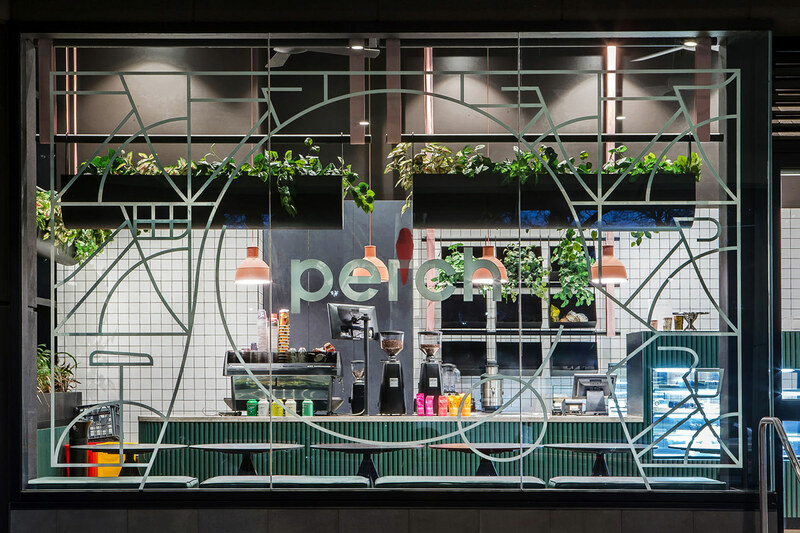 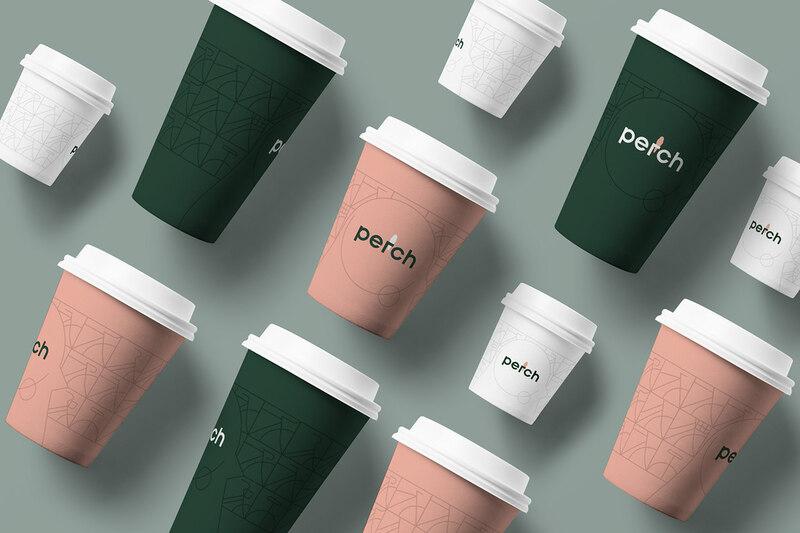 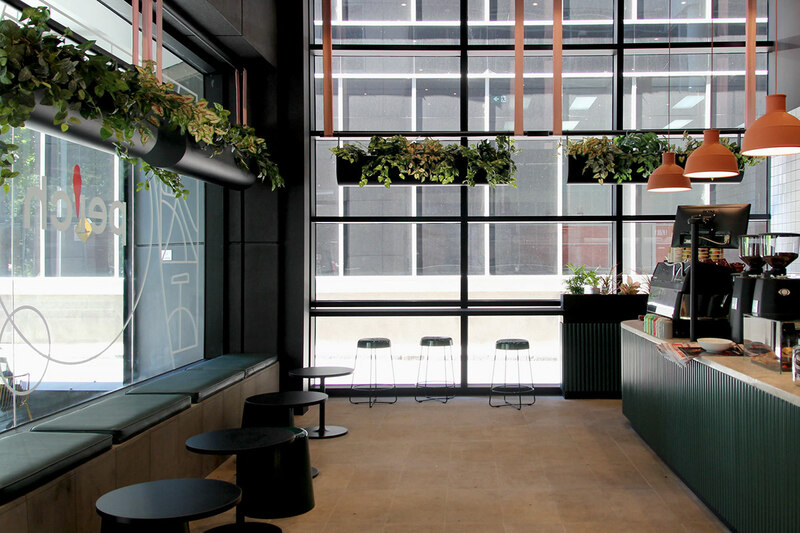 Perch is a beautifully designed cafe located on the ground level of a high-rise office building in Melbourne CBD. 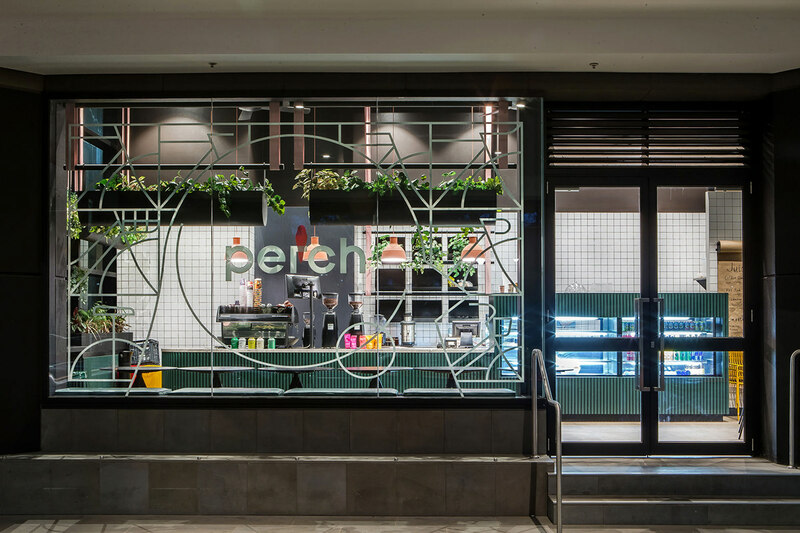 On top of that, it has a bicycle parking rack situated at the front of the cafe, and that is where the name and branding come from. 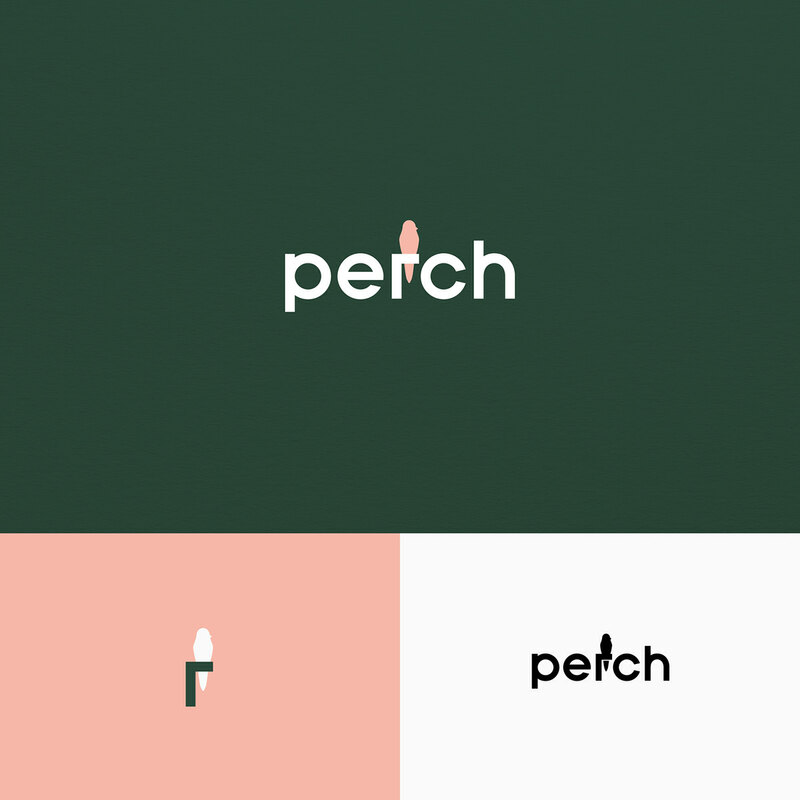 The 'r' is designed to illustrate a perch, with an eye-catching pink bird siting on it. 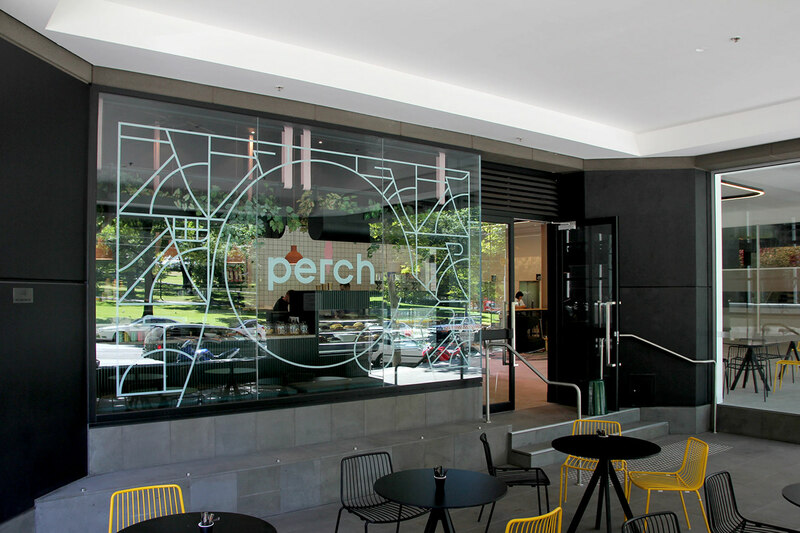 The fresh and modern window graphic matches the surrounding very well, as Flagstaff Garden is situated right across the building.